​Watch your child’s imagination grow in our preschool dance programs. Our teachers will introduce your child to dance by using age appropriate music, movements, imagery, and colorful props which will stimulate imagination and self-expression. The preschool dancer will develop a greater sense of body awareness, rhythm, flexibility, and coordination in a fun and creative environment. The students, ages 3 and up, are invited to perform in our annual Holiday Show and in our Spring Showcase. ​Are you looking for a fun class for your little mini mover? In our Mini Mover Class, we will introduce your little one to the magical world of dance, music, and make-believe. Designed to be fun and imaginative, your child will respond to music and be inspired creatively through the guided activities. We will use nursery rhymes, colorful props, and lots of fun movement activities, designed to improve coordination, gross motor skills, enhance cognitive learning skills, and develop social skills. Your child will love this class! ;​Do you have a three year old who has boundless energy, enjoys music, likes to move, and is creative? Our dance program for three year olds will introduce your child to the world of dance. Your child will develop a greater sense of body awareness; rhythm; musicality; flexibility and coordination with our activities, designed to foster listening skills, communication skills, classroom etiquette, and imagination. Your child will have fun dancing in this class! ​In this class, students will enjoy using their feet to make sounds like a musical instrument when they begin their tap lessons. In ballet, they will learn basic ballet positions, combinations, and terminology. Musicality, rhythm patterns, and balance skills will be emphasized in tap and ballet helps with flexibility, balance, body alignment, sensory awareness, and cognitive skills. We will inspire your child to enjoy dancing! ​Following our dance syllabi, children will continue to study the fundamentals of ballet including the positions, barre and center floor exercises and tap technique. They will continue to improve their technique, strengthen their coordination, and develop musicality. We will introduce basic jazz steps, including stretching and body isolations in our dynamic jazz portion of this class. They will have fun learning basic jazz steps and we will keep your child moving in this class! In the Student Division, the classes are designed to educate, inspire, and enhance the lives of our students in a supportive environment. Students, ages 6 and up, may enroll in one of our combination classes or in a specialty class, appropriate for their level. Many of our students will enroll in a combo class and participate in several of our other dance programs. Our combination classes are designed to teach children ballet, tap, and jazz. The students will build knowledge and skills through a continuous spiraling curriculum, which is designed to educate, inspire, and enhance the lives of the students while emphasizing proper dance technique. Students will learn classical ballet technique and progress from adagio to allegro as they do center work and ballet barre, concentrating on alignment, balance, turnout, strength, flexibility, and technique. Students will advance to learn complicated ballet combinations and learn dance terminology. Ballet is an artistic style of dance and it is the foundation of dance. ​Pointe: Students who have continuously studied ballet for three or more years and are at least 11 years old may begin pointe upon the teacher’s recommendation. All pointe students must enroll in two ballet classes per week. Tap dance is an original form of dance in America with its roots coming from Africa, Ireland, and Scotland. Students will learn traditional, Broadway tap, and progressive tap (rhythm tap) in the classes and they will develop rhythm, syncopation, timing, and coordination. The dancers will create music with their feet, producing clear tap sounds in these classes. In this energetic class, students will learn stylist jazz techniques as seen on the Broadway stages, classical jazz, and contemporary jazz. 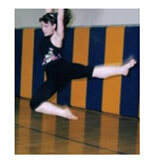 All jazz classes will consist of warm-up and isolation, center work, and progression skills, including jumps and turns. Emphasis will be placed on control and movement of the body with freedom of style and expression. Unlike ballet, modern dance is an abstract way of exploring with time, space, and shapes while moving through different levels. Graham, Horton, Limón, and other modern styles will be incorporated in this class. In this class, modern, ballet, jazz, and lyrical styles of dance are infused to create an expressive class consisting of improvisation, release and contraction, and it will feature a wide range of movements. Students will learn funk, break, pop and lock, street style and the latest moves in this high energy class. The boys in this high energy class will learn the latest urban hip hop moves as seen in music videos or on television, such as popping, locking, and breaking. Designed especially for boys, the movements will emphasize rhythm, coordination, strength, athleticism, and stamina. The music and the routines will be age-appropriate. ​By infusing the elegance of ballet and the rhythms of jazz, the students will either Interpret a song’s lyrics or respond to the music to tell a story in this beautiful style of dance. There are many benefits for enrolling in this class. You may increase your flexibility, improve your balance and coordination, tone and strengthen your muscles, flatten your tummy, and relieve stress. ​We incorporate Pilates and Yoga in our Stretch, Turn, and Leaps Class. Private Pilate's lessons on the Reformer may be scheduled for an additional fee. ​These dance fitness classes for adults are fun.